Rhythmic poetry and inspired lyrics emanated from IMAN’s Youth & Arts Wellness Center as the return year of Fresh Expressions, a grassroots, creative safe space, came to a close. 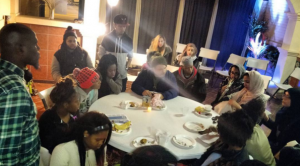 After dining on healthy snacks and veggie pizza, talented young artists from every side of Chicago meshed social awareness with oratory flair during the open mic session. Performers hailed from Gage Park High School, the Kuumba Lynx collective, and even IMAN’s core group of leaders. IMAN Arts Council member Amirah Sackett then took the stage with her unique blend of artistic education and expression. 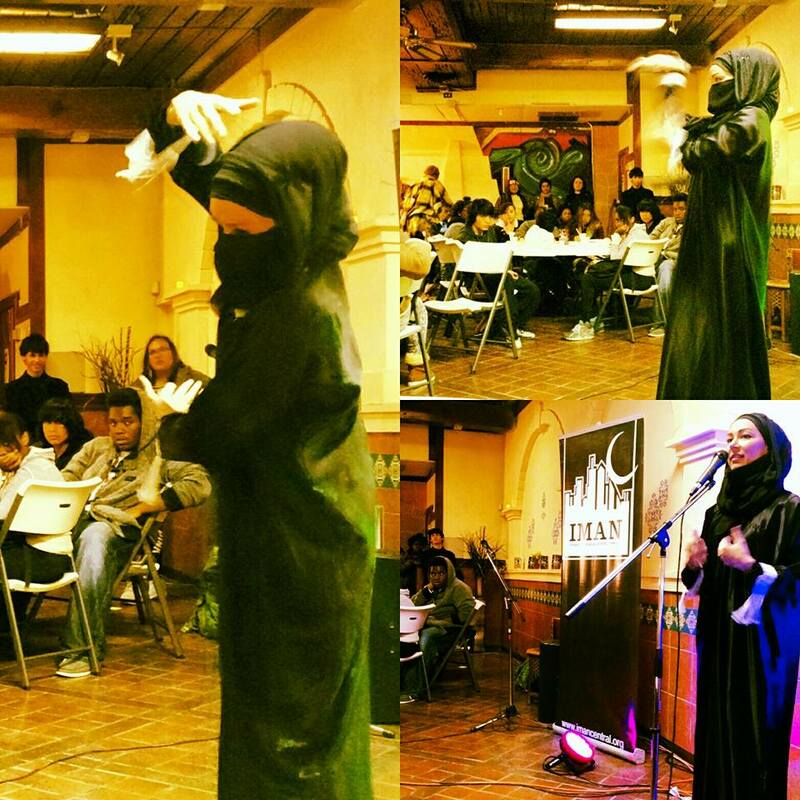 Sackett shared her story of self-discovery, a journey through which she has found ways to embrace both her love of Islam and hip-hop. After a “locking” dance demonstration, she spoke about her group “We’re Muslim, Don’t Panic” and fielded questions from the audience. Community engagement and active dialogue is a crucial component of Fresh Expressions, and this month’s theme was “In Your Feelings”. Guests broke off into groups to discuss Emotional Intelligence in the context of real-life situations. Multigenerational, multiethnic connections are a hallmark of the Fresh Expressions experience, and the passion and wisdom contributed by those in attendance served as powerful reminders of the necessity of this space. As the year draws to a close, we look forward to the continued growth and solidification of the Fresh Expressions model. Few other places in the city of Chicago offer such a vibrant, youth-led environment for community members of all ages to express themselves and learn from one another. Thank you to all the leaders and volunteers who helped to make this year a success. This entry was posted in Arts & Culture, One Chicago, Uncategorized, Youth Services by IMAN Staff. Bookmark the permalink.